Home » Chinese Horoscopes 2020 » Rat Horoscope 2020 – Free Astrology Predictions! Rat horoscope 2020 predicts that some great opportunities will come your way in 2020! However, it is entirely up to you on whether or not you take them. The best time to make a change in your life is within the first three months of the year. You are likely to feel freer this year, more open to new things, and more social as well. While you will not forget about the “real” world, you will spend a great deal of your time simply enjoying yourself. You will be spending time with others who like to have a good time in the Chinese Year of the White Metal Rat. The first sign in the Chinese zodiac is the sign of the rat. The rat is the first sign because it is humorous and clever. People born under the sign of the rat are also said to be very social, charming, and fun-loving. However, even people born under the sign of the rat have their bad qualities too. People born under the Chinese rat sign can be greedy and full of themselves. These people, like rats, are also curious and seek to learn more every day. All of these traits help to influence the sign of the rat horoscope 2020. Is year of the rat lucky in 2020? The rat love predictions show your love life prediction shows enjoyment in 2020. You are likely to act more spontaneous this year, which will add some excitement to your love life, whether you begin the year in a relationship or single. If you are single and if you want to get into a relationship, then it is your lucky year! Many opportunities for new romance will come your way this year. When you are trying to get with someone new, make sure that you show them your true self from the beginning. This can help to prevent a lot of problems as your relationship goes on. Will Rat get married in 2020? Be sure to be firm with what you want in your relationship, and listen to what your partner wants as well. This will also help to prevent many arguments that could occur if you did not do this. Your charming nature is sure to provide your year with lots of love in 2020. The Chinese rat are also likely to have mostly positive experiences with their friends and family this year. So long as you remain confident and composed, you are sure to have a successful relationship, no matter what kind of relationship, with whoever you agree with in 2020. The 2020 Chinese forecasts suggest that this year the rat will need to push themselves to success in the workplace. No one else is going to do it for you. While you work, you need to think about how your job is going to affect you and your life in the future. Is your job making you happy and is it giving you enough money to live comfortably? If you can answer “no” to either of these questions, then it might be a good time to begin searching for a new job. No matter what job you have, it is also a good idea to strengthen your communication, dependability, and teamwork skills this year. This year in 2020 you will be the happiest when you spend your money on others instead of on yourself. This may cause people to think that you are trying to “buy their love” this year. So make sure you have some emotional love as well towards these people. Money can provide comfort this year for the rat zodiac sign. So try to save what you can after paying off your bills and other debts. Being in debt will make you feel uncomfortable, so try to avoid this in 2020. The health of those born in the year of the rat will be, more or less, like how it was last year. If you were healthy, then you are likely to stay healthy. If you were ill, well, you might want to see a doctor. This doesn’t mean that you should get lazy when it comes to your health if you are usually healthy. Work out, eat right, and make sure to get plenty of sleep in 2020. January 2020 is when the rats should think twice before making any decision. February 2020 is an excellent time to plan for the future. March 2020 is when your plans will go into a ready-to-execute mode. April 2020 is a month of hard work and persistence. May 2020 will come with many important financial decisions that need to be made. June 2020 is when the Chinese zodiac rat people need to be careful not to get into problems. July 2020 will be an excellent month to spend with family and friends. August 2020 is a severe month when people you trust might not be what you think them to be. September 2020 is a time for a total makeover. October 2020 will come with its share of tough decisions. November 2020 will be confident and also full of good vibes. December 2020 is when everything will go the way you want it to. 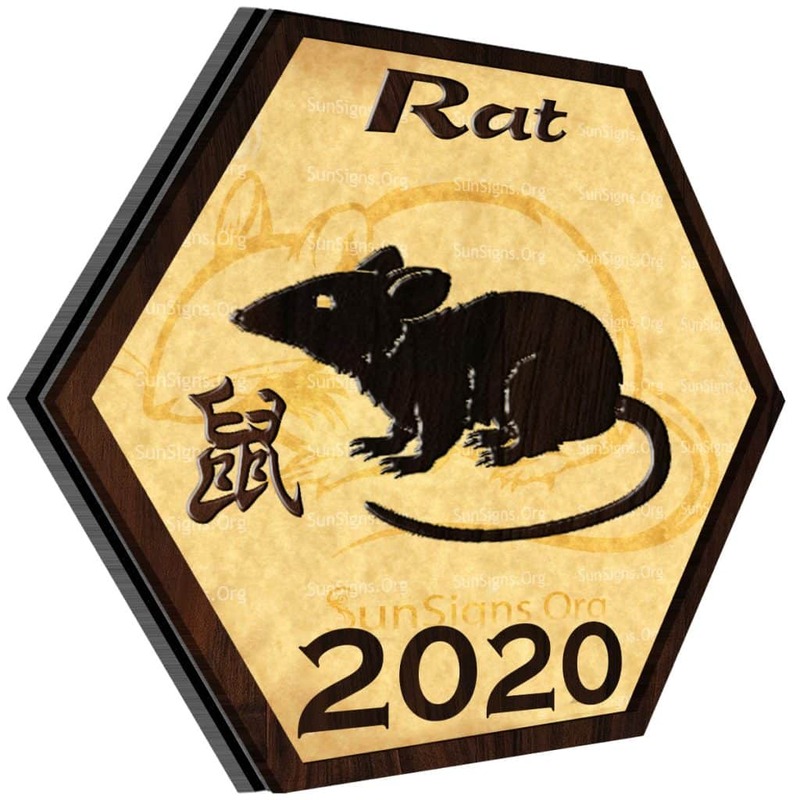 Feng Shui 2020 predictions for rat foretell that this is a promising year for education and also developing new skills. Rat horoscope 2020 forecasts that this year is full of opportunity and change. You will need to improve yourself before you can improve any other aspect of your life. Make sure to take the opportunities that are trying to help you this year. You will need to work hard this year if you want to play hard later. Use this year to prepare for next year, but don’t forget to have fun and spend time with your loved ones too. If you do all of this, then you are sure to have a great time in 2020! Previous Aries Horoscope 2020 – Get Your Predictions Now! Next Ox Horoscope 2020 – Free Astrology Predictions!